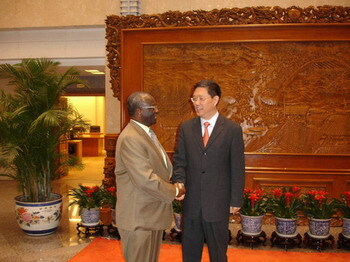 On October 24, 2007, Chinese Assistant Foreign Minister He Yafei held talks with UN Secretary General's special envoy to Myanmar Ibrahim Gambari, who is in China for a visit. During the talks, He expressed China's concerns about the Myanmar situation and called on relevant parties to maintain restraint and properly resolve the issue through dialogue and consultations in a bid to resume stability as soon as possible and promote democracy and development. The Myanmar issue, resulting from complicated historic and realistic reasons, should be settled by the Myanmar government and people, He said. The international community should provide constructive help in a just, objective and balanced manner to increase the mutual understanding among relevant parties and push forward their dialogue, he said. 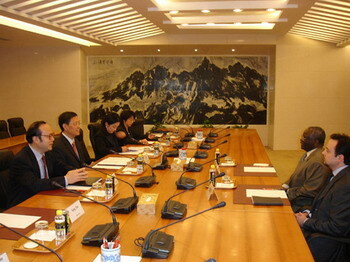 He said China will support the mediation work of the UN secretary general and his special envoy. Gambari briefed He on his visits to Asian countries and next plan, saying he will visit Myanmar again and strengthen cooperation between UN and Myanmar to solve the issue.